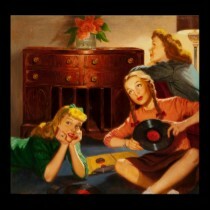 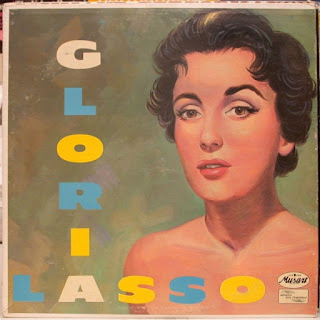 Here are several songs performed by the glamorous Gloria Lasso. 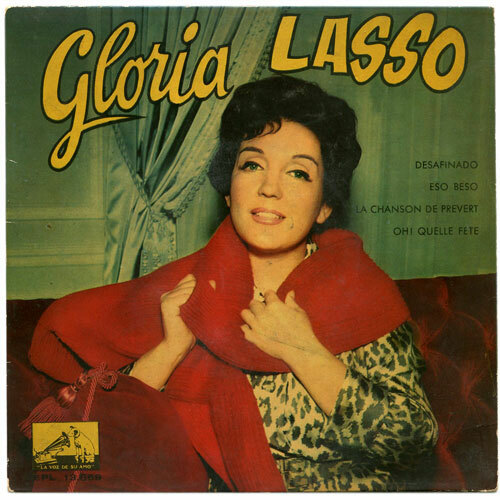 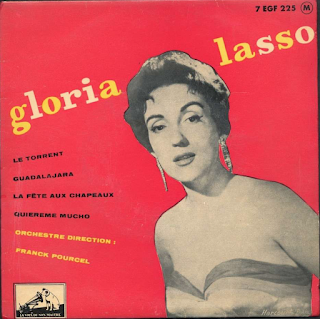 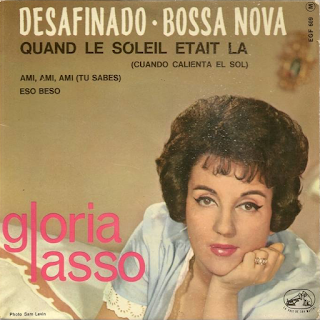 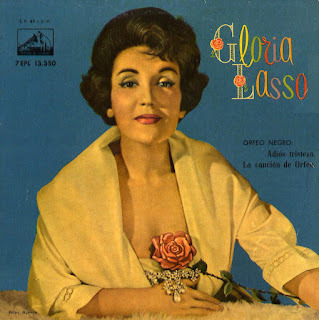 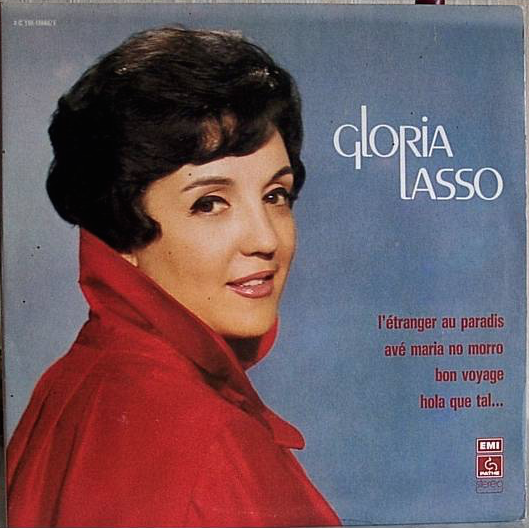 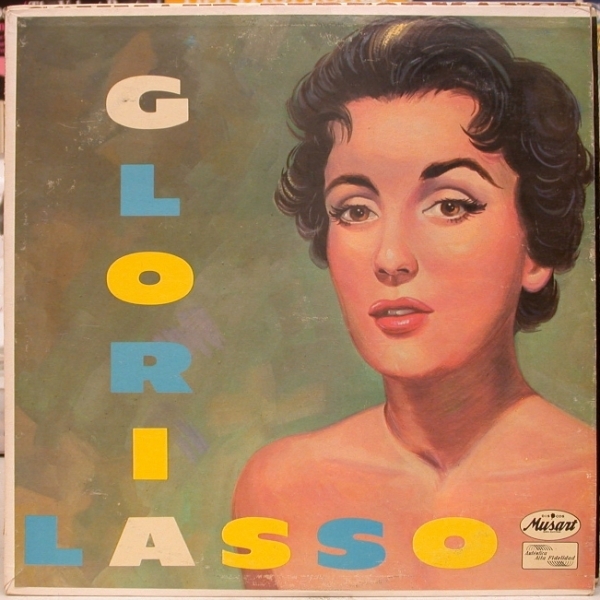 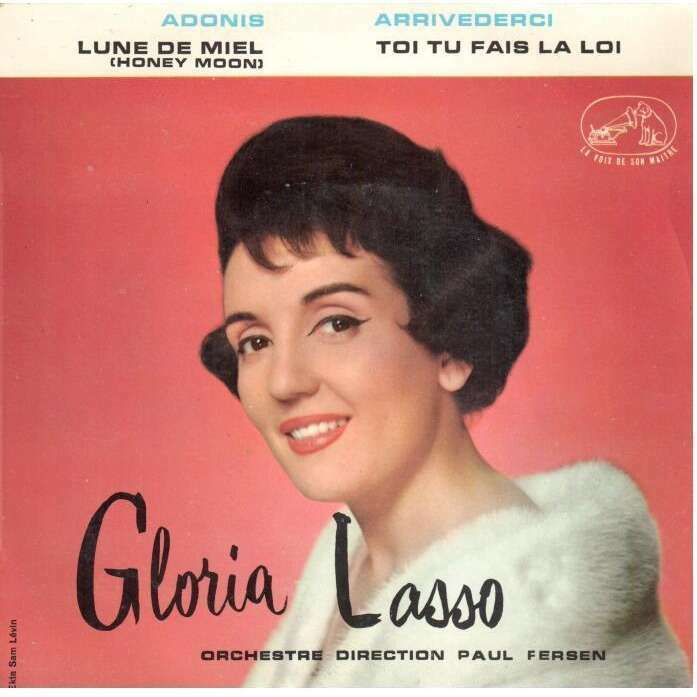 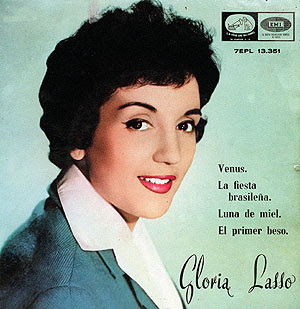 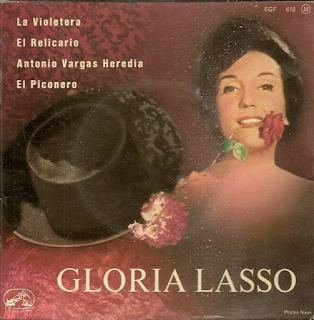 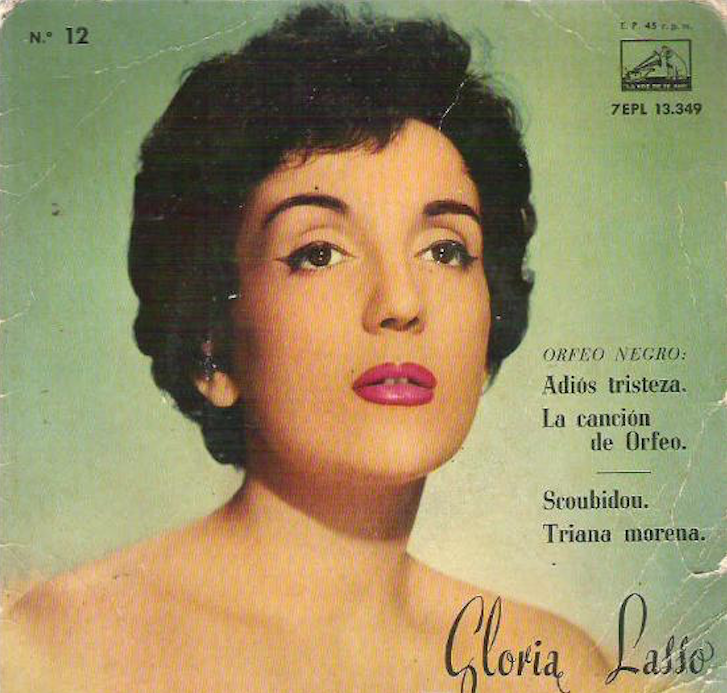 Gloria Lasso (1922 – 2005) was a Spanish-born singer, long based in France. 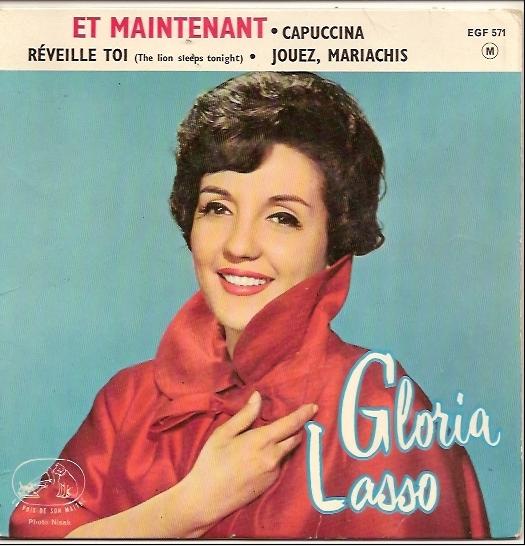 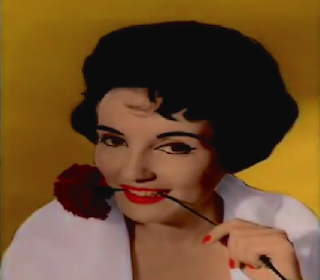 In the '50s, she was one of the major competitors to Dalida. 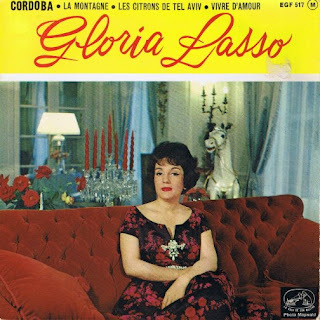 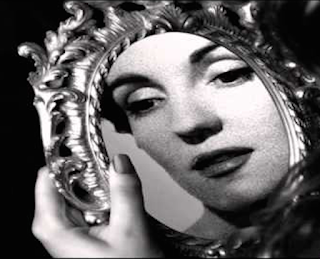 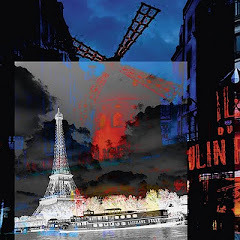 Born as Rosa Coscolin Figueras in Vilafranca del Penedès, Catalonia, she achieved a degree of fame and success in the 1950s and 1960s, with songs such as Amour, castagnettes et tango (1955), Etranger au paradis (1956, a French version of Stranger in paradise by Tony Bennett), Buenas noches mi amor (1957) and Bon voyage (1958). 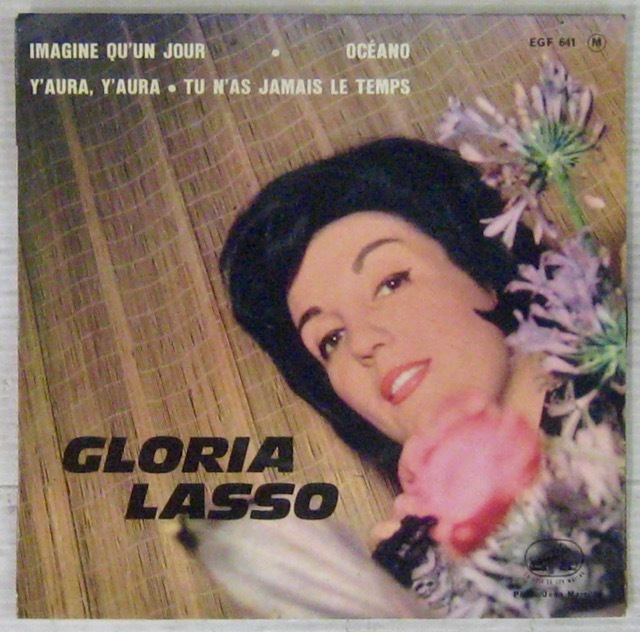 Eventually superseded by Dalida, she moved to Mexico, but attempted a come back to France in 1985 performing at the Paris Olympia. She was reportedly married six times. She sold more than 80 millions records. 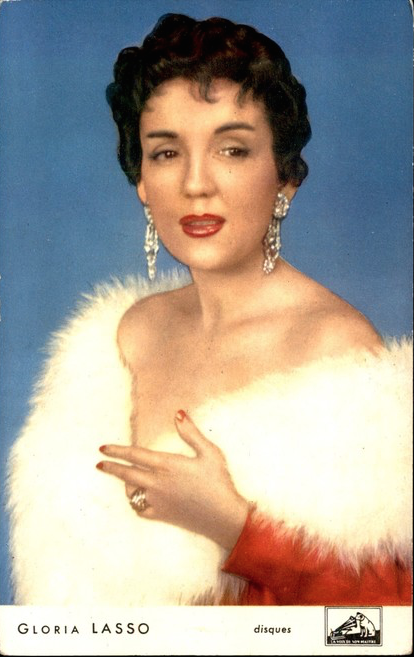 Enjoy the charm of the "Spanish nightingale"!